Home Design Software is the easiest and quickest option for designing 3D house model compared to complex Autodesk CAD and 3D Modeling Software. Here we list best free and premium home design software in 2018. Most of these 3D home design software provides all of the essential features and also advanced options and sample plans. With these home design tool, you can visualize the exterior design, landscape, interiors, kitchen, bath, or room addition with custom cabinets, lighting, furniture, and other appliances. There are several types of 3D design software available to draw basic 3D design models. In this article, we’ve collected only software created for 3d home design purpose. 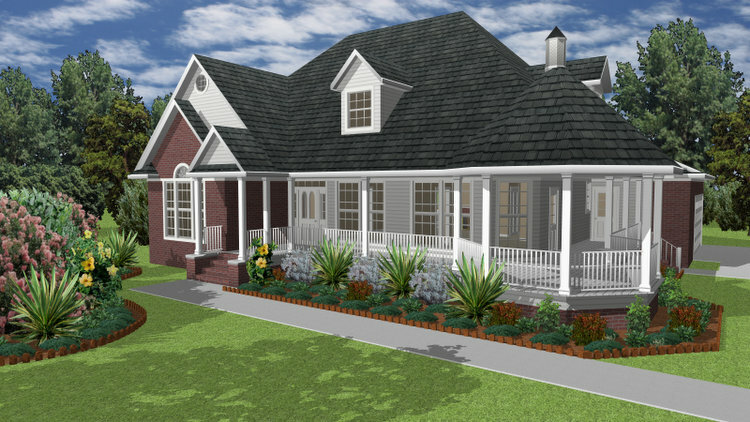 Let’s take a look at 3D house design software to create your dream home model today. 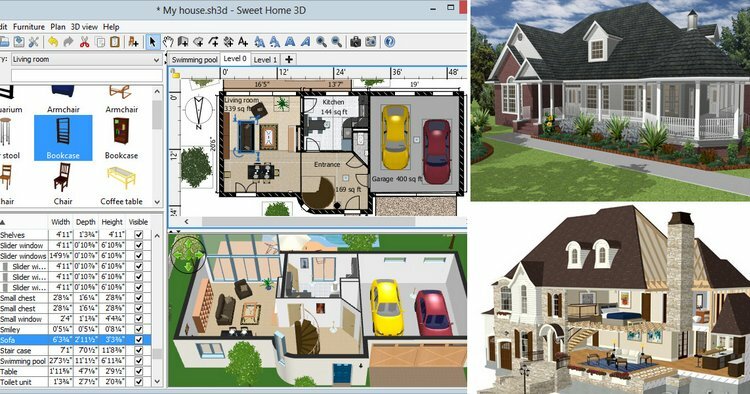 Home Designer Suite 2018 is the best house design software and it offers sophisticated CAD tools so you can design like professional. There are lots of video tutorial available on Chief Architect website which helps learning process much easier. This 3D home design software also best for cost estimator or quantity surveyor. With this program, you can create a spreadsheet with totals for supplies you need to build. Home Designer Suite is the best interior design software with home builder wizards. Sweet Home 3D is easy to learn interior design software that helps you draw the plan of your house in 2D, arrange furniture on it and visit the results in 3D. Premium Sweet Home 3D is an easy to learn home design software with professional features. This is the best software for beginners with no design skills or without other 3D design experience. The Sweet Home 3D is much cheaper than other applications because it costs $14.99. It is available for Windows 10, 8, 7, Vista and XP (suitable for 32 and 64 bits); and MAC OS X. This 3D Home used as interior design software because exterior design tools are extremely limited. DreamPlan is a free home design software for windows. It’s also available for other operating systems such as Mac and Android, but you need to pay. DreamPlan contains narrow features compared to Sweet Home 3D. However, It is free to download home design 3d tool for Windows PC users so If you are beginner or DIY home design enthusiast, this 2D, and 3D house design fits your needs. RoomSketcher is a free house design software and online tool comes with amazing professional features. This free design program helps you create 2D and 3D floor plans on a tablet, PC or Mac. you can easily generate stunning 3D Photos. RoomSketcher 3D Floor Plans provide you with a stunning overview of your floor plan layout in 3D. If you looking only free room design software or floor plan designer free version, this is absolutely best for you. TurboFloorPlan Home and Landscape Pro easy to use professional home and landscape design software for Windows Desktops. It provides a list of materials and cost estimates tool for your house design projects. This home plan software assists you to plan of your dream home from the foundation, walls, windows, doors, custom roof types to HVAC, electrical, and plumbing layouts. Home Designer Pro 2018 is another 3d home design software from Chief Architect. 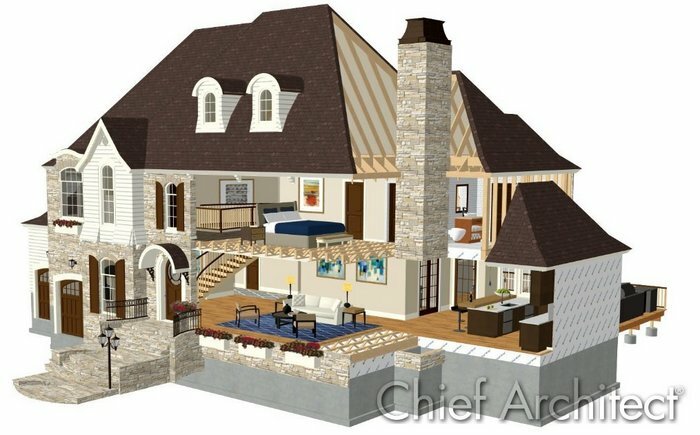 This Chief Architect’s home design tool has more advanced features compared to Home Designer Suite 2018 and also it’s the higher price than Home Designer Suite. It costs $495.95. It includes amazing features not only for interior design but also exterior tools for home design, remodeling, decks, and landscaping design. Home Designer Pro 2018 has cost estimation tool which lets you calculate material quantity easily. 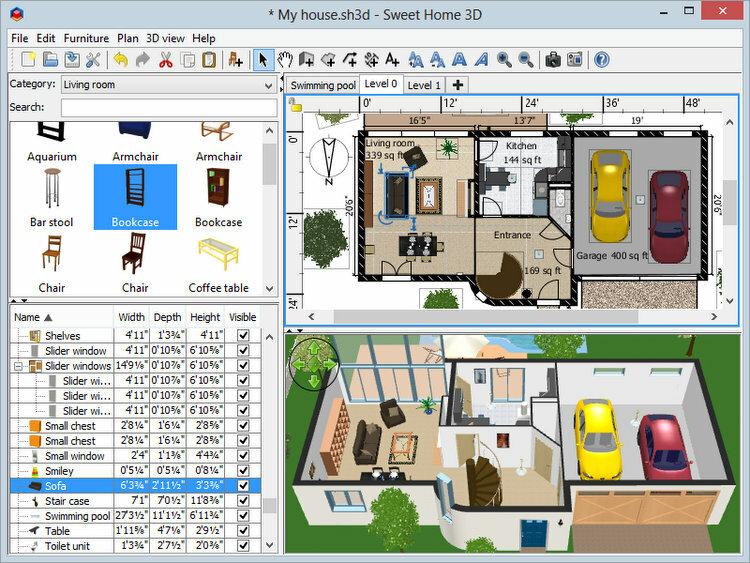 Virtual Architect Ultimate is home design software with landscaping and decks features. This house design application contains powerful designer tools and helpful tutorial to create a professional-quality home interior and exteriors. Punch Home & Landscape Design is another home builder software with easy to plan and create a dream home using intuitive design tools for the 2D to 3D visuals. There are perfect sets of design tools available to enhance your landscaping and outdoor living spaces. You can easily design gardens, patios, decks, outdoor kitchens, water features, fences, and other beautiful exterior spaces with simple to use landscape design software. If you are only looking interior design software with libraries of materials and furnishings, Punch Interior Design right one for you. Punch Interior Design software available for both Mac and PC. It has a lot of interior design features, kitchen furniture and cabinets, bath 3d models, and more. Total 3D Landscape & Deck Premium comes with over a thousand sample home plans. Step-by-step Guides and Video Tutorials walk you through each step, and the simple interface makes navigating through design options easy. Instant Architect is the basic house builder and remodel software. It’s the perfect solution for quickly planning your next remodeling, redecorating, or weekend home improvement project. Total 3D Home Design Deluxe 11 house design software has an extensive library of objects and sample plans. Previous design skills are not needed. Whether you are remodeling your house, decorating a room, or designing your dream home, the tools and inspiration you need are included.